For this Trash to Treasure, I had the pleasure of working with gorgeous, plush, and vibrant pink carnations. and I am a huge fan of ruffles! My initial thought was to use them to make a cake topper. 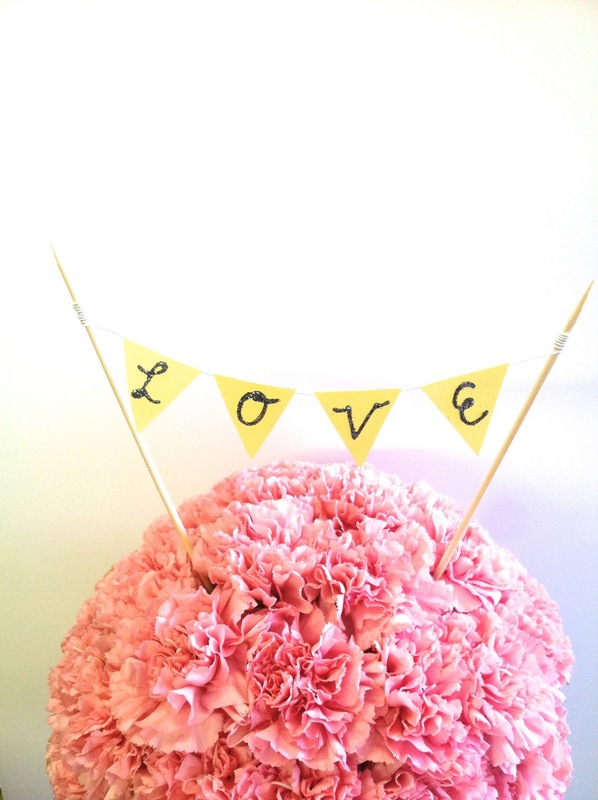 As I thought about it more, designing a faux cake, made entirely out of carnations, seemed like a better idea. I have come across many pictures online of cakes that have ruffled icing so I thought this was a good alternative without having to do all that kitchen labor (although I do love to bake). 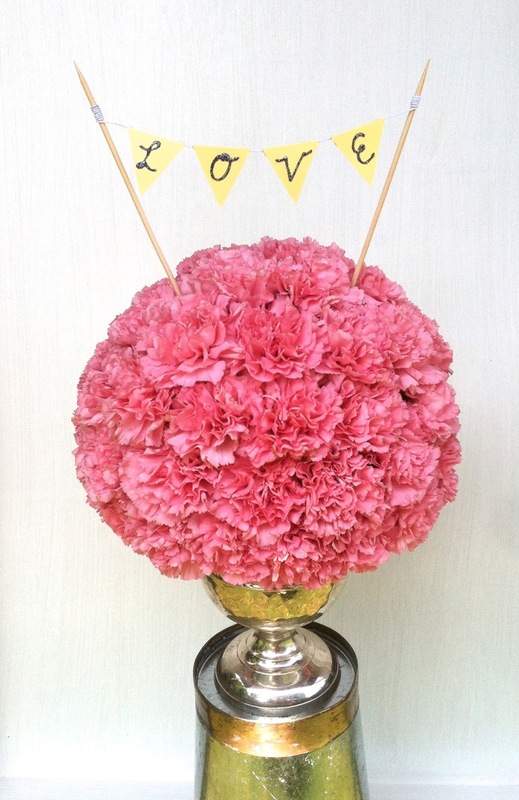 These would serve well as centerpieces for a garden party, birthday, or wedding! To add some detail to the "cake," I made a little banner out of sticks, paper, and a little glitter to put on top. You could add a personal touch with names, initials, or any other cute phrases written on the flags!